Will more protests cause more problems for Russia’s social networks? After historic protests earlier this month, activists alleged that Russia’s Federal Security Service (FSB) repeatedly tried to interfere in the activity of some social networks to block opposition groups supporting mass demonstration against the 2011 elections. Many are concerned that the next protest, scheduled on Dec. 24, will result in new pressures on social networks such as Facebook and Vkontakte, known as Russia’s Facebook. Before post-election protests in central Moscow, some Russian media outlets, blogs and social networks had their websites blocked or attacked by hackers. Four days before the large-scale demonstrations on Bolotnaya Square, the FSB allegedly pushed Pavel Durov, a founder the social website VKontakte, to assist in blocking the opposition. Durov said that the Russian secret police had demanded that his site ban online opposition groups supporting post-election protests, as well as vocal anti-corruption blogger Alexei Navalny - who had been arrested before during the protests near the Chistye Prudy metro station. Yet Durov refused to ban opposition groups and, moreover, published a copy of the police order. Durov was ordered to appear at a prosecutor’s office. Afterward, the Vkontakte press service seemed to tone down Durov’s initial statements, stating that the secret police only made some “routine requests.” If something “doesn’t meet our principles and contradicts the law,” the company has the right to reject these requests, said Vladislav Tsypluhin, the social network’s press-secretary. In reality, he added, FSB asked to ban only those groups that provoked violence and unrest in the streets. According to Morozov, Durov’s public refusal to ban opposition groups was the kind of response that is good business for his company. Given the interest of foreign investors in Russia’s Internet projects and its international heft, this move will only attract foreign investors and result in positive consequences for its capitalization. “It is essential for foreign investors that Russia’s Internet projects have some safeguards from FSB’s undesirable interference,” Morozov argued. 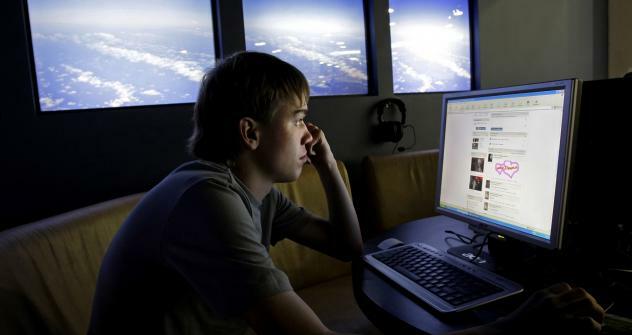 The Russian government is allowed to monitor private, online correspondence if there is suspicion that the communication could lead to instability. The so-called system of operative investigative activities (SORM-2) introduced in 2000 is a program that allows Russia’s federal security agencies to force Internet service providers install special devices, which help track all e-mail messages and private correspondence on social networks. Social networks were used as a tool to coordinate the Manezh Square public unrest in December 2010 when about 10,000 nationalists and footbal fans took to the streets in response to the murder of a Russian football fan. These protests gave the authorities a reason to change Russia’s criminal legislation regarding the dissemination of extremist information on the Internet. The amendments to the Criminal Code proposed by the State Duma could complicate the life of most Internet users by extending its provisions not only to registered mass media, but also to unregistered blogs including those in social networks. This move sparked the fear that the Kremlin would impose more restrictions on the freedom of the speech in Internet before the 2011 parliamentary elections and the 2012 presidential campaign. The government should come up with more reasonable measures to establish dialogue with the people, he added. Morozov added that government measures will not prevent people from assembling for future protests. He hopes that upcoming demonstrations will bring more people than previous ones did.